How Did This Escape My Attention? How did I miss this? 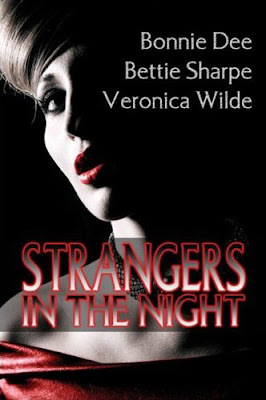 Bettie Sharpe’s LIKE A THIEF IN THE NIGHT has been out in print, as part of an anthology, since the very end of 2008. I haven’t seen the book in the stores yet–not that I was particularly looking for it–but you can get it from Amazon here. Amen to that. Ember was one of my favorite reads last year. And it’s available for free on Bettie’s website! I wish I could pimp it more at Dear Author, but as Bettie and I are becoming friends and crit partners, I’ll restrict myself to pimping it on your blog. And add my voice to your “for selfish reasons, support Bettie” exhortation. LOL, Janine, you are racking up some impressive critique partners! I know! I have to pinch myself sometimes. To borrow and parphrase something you said here once, I must have done something right in a previous life.